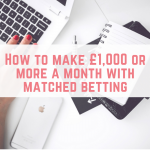 Matched betting is hands down one of my favourite side hustles, and I earned a massive £12,000 in my first year of matched betting, risk free and tax free. 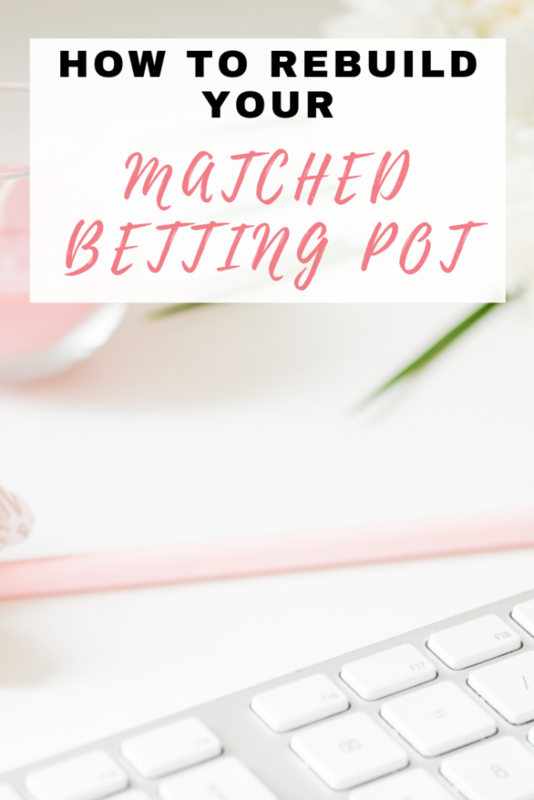 The key to being able to earn more with matched betting is to have a big pot – that is, a lot of money you can use to place your bets and earn money. However, life does not always go to plan, things often crop up unexpectedly that need to be dealt with, which can mean dipping into your matched betting pot. 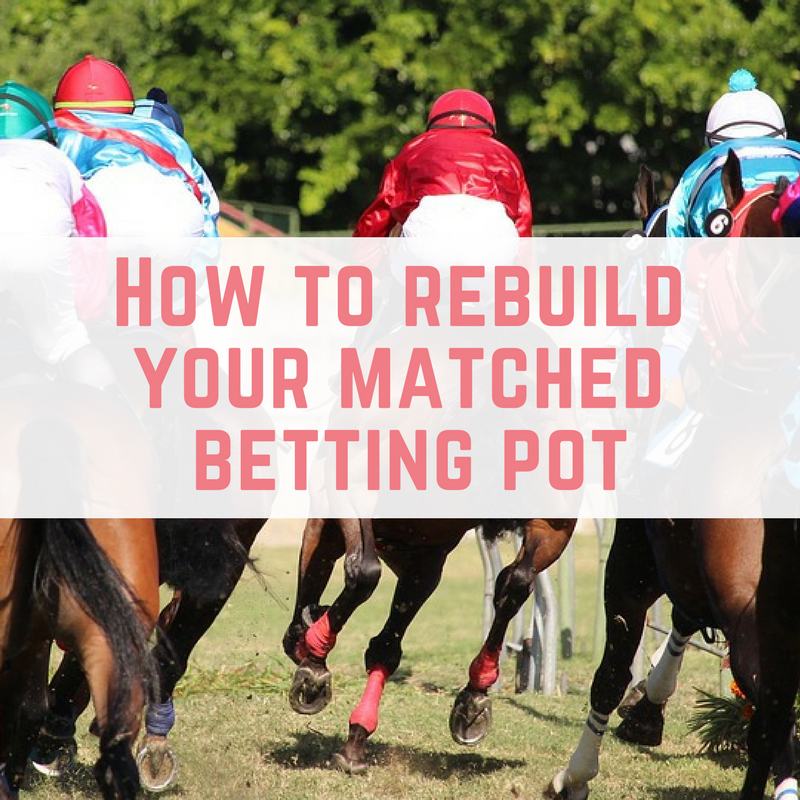 Here is how to rebuild your matched betting pot. Whatever the reason for dipping into your matched betting pot, from holidays to emergencies, the key to long term matched betting is to not lose momentum and to not let this stop you from matched betting. 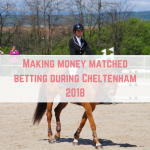 You can either matched bet in the short term, making yourself £1,000-£2,000 for a one off event like a holiday, or you can look to do matched betting long term. 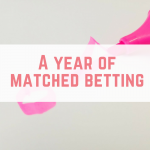 I have been matched betting for over 2 years now, and it is still profitable for me. 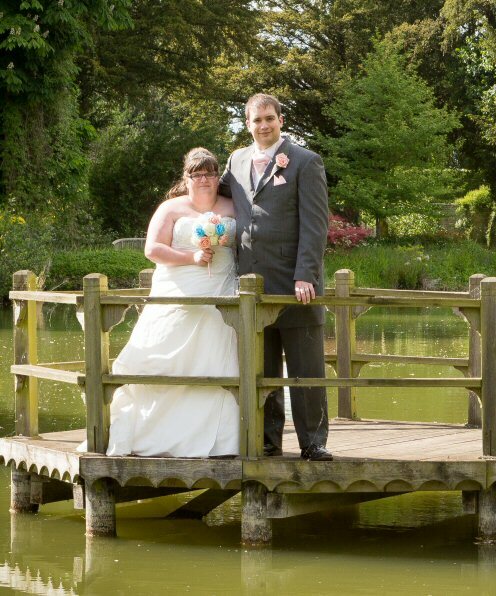 Think about where you want your matched betting journey to take you, and whether you want to put the effort in to rebuild your pot, or whether you want to call it a day. 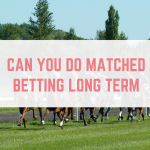 Long term matched betting isn't for everyone, however if you are looking to continue long term then you will need to rebuild your pot. The first step to rebuilding your matched betting pot is to not panic or worry about it. 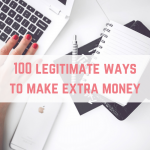 Easier said than done, especially when you know that you can earn more money by having a bigger pot of money available to you. It will take time to rebuild your pot, and getting worried or panicked isn't going to help at all, and in fact it could lead to you making mistakes or taking risks outside of matched betting, such as doing traditional gambling. As you continue along your matched betting journey, you might find yourself completing low risk offers such as horse racing refunds. When you have a matched betting pot built up then that's fine, but when you are working to rebuild your pot then stick to risk free offers. This is because there is no point in risking any of your limited funds on these offers like horse racing refunds. 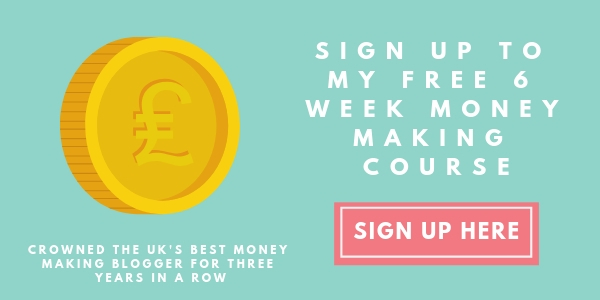 Sticking to risk free offers will help you to build your matched betting pot faster. 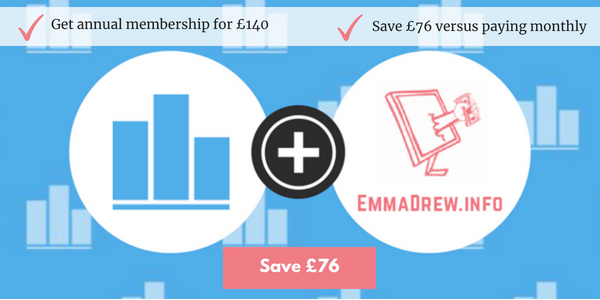 A great thing about matched betting is that there are new offers popping up daily, from new sign up offers to reloads. When you are trying to rebuild your matched betting pot then it can be disheartening to see all the offers that you can't complete right now. Instead of being disheartened, focus on the offers that you can complete with your limited pot. 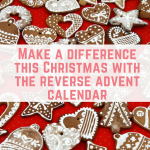 Making small actions often (daily if you can) will really add up. Click here to join my matched betting Facebook group. Much easier said than done, because life happens, but try to keep as much money in your matched betting pot as you can. In an ideal world you will have at least £1,000 in your matched betting pot to allow you to make use of most of the offers. During big sporting events such as Cheltenham, you might find that you need a bigger pot to take advantage of the offers. 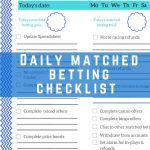 If you want to see which sporting events have lots of matched betting offers then be sure to check out my free matched betting calendar. New bookies, or existing bookies with new sign up offers are always popping up, so even if you have completed all the sign up offers, it is worth checking regularly to see if there are new offers. Sign up offers are typically one of the easiest offers to complete, needing the least bank roll to get going. As well as checking the reloads section regularly, you might get emailed reload offers that are exclusive to you. This is why it is important to check your inbox regularly. 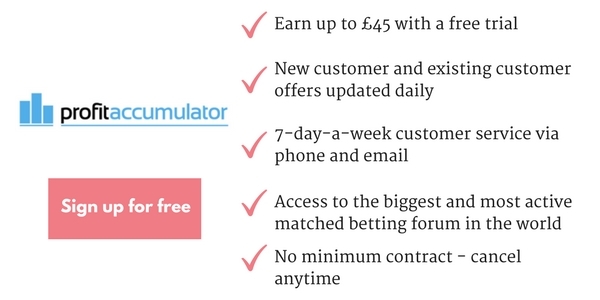 If you don't understand the terms and conditions, or you want to double check them, then you can post in Profit Accumulator's dedicated support forum to get advice from other matched bettors. The key to rebuilding your matched betting pot is to stay positive. 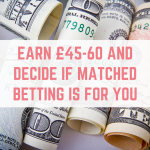 You aren't the only person who has had to dip into their matched betting pot for whatever reason – remember that you started matched betting so that you would have this money in the first place! Keep your eye on the prize – after all, who can complain about risk free, tax free cash?